Are you having a hard time deciding which surfboard to buy and which is the best small wave surfboard? With the many types of surfboards available in the market who would not have the same problem. Good thing there are lots of short and longboard surfboard reviews online to help you decide. Keep in mind there is no perfect board, so don’t try to look for a product that possesses all the qualities you want. Instead, look for the one that possesses most of the features you think will help you become a good surfer. This Liquid Shredder 7'0" FSE Series product review will present some of its best features to prove why it is considered as the best surfboard. If you think this product matches your skills and weight, you can consider buying it. Who Is Liquid Shredder FSE 7'0" Series Surfboard For? About Liquid Shredder FSE 7'0"
If you are learning to surf and want to improve your skills, the Liquid Shredder FSE Surfboard is worth checking for. The brand is known for its durability and is even used during surf competitions. In picking the perfect surfboard, you need to consider the length, rail, and rocker. The best thing about the boards made by Liquid Shredder is the price. It is manufactured for first-time surfers not only because of its features but also due to the resale value. If you want a board that paddles fast and flow into the wave easily, choose flat, wide, and thick surfboard. For new surfers getting a surfboard with a flat bottom is a good idea. This will provide faster acceleration on small waves. The board should flow with the wave to reduce the friction and push of water. Thus, this is recommended to new and intermediate surfers. This surfboard is shaped for fun wave riding in all sorts of conditions. The dimension of Liquid Shredder 7'0" FSE provides excellent stability whether you are in fast, heavy waves or slow mushy ones. The product nose is in between a full round and pointed nose. This feature will help the surfer keeping its balance when catching waves. For starters, this could be a good choice, but for experts, they might have a hard time maneuvering it. The Liquid Shredder 7'0" FSE is designed with the novice and intermediate users in mind. Therefore, most of their features are suited for new surfers. Provides stable and unyielding feels but keep you safe mainly from accidents prone to new surfers. Lightweight and handy which makes it easy to carry around. Because it is made of high-quality materials, it is stable and highly buoyant, which makes it easy to paddle, maneuver, and catch waves. The fins are rounded and flexible, which makes it safer and less prone to accident. Being sold at an affordable price, which makes it ideal for beginners. Versatile – best all around surfboard. You need to buy leash separately. Fins are made of plastic thus they break easily and are hard to replace because they are not available in standard size. New surfers may be not aware of this; choosing the wrong surfboards can significantly affect the ride. Imagine yourself riding best longboard surfboard, and you belong to the group of short people. You will be outbalanced since you will have a hard time controlling the board heavier than you. Generally, tall people can use shortboards, and shorter surfer can use longboards. But you need to think about how it will affect your ride. Liquid Shredder 7'0" FSE shows features of both long and shortboard. Thus, it can be used by both shorter and taller surfers. Shortboards intended for taller surfers is a bit wider and a few inches taller. As the longboards designed for shorter people, the boards are skinnier and a few inches shorter. Another essential factor to consider when choosing the right surfboard is your weight. If you use a surfboard that cannot support your weight, you might sink into the water, and if you were able to catch a wave, you would have a hard time building up the momentum to surf for long. Your board should sink just enough for you to carve into a wave. However, you need to have enough buoyancy to gain speed and cruise towards the shore. 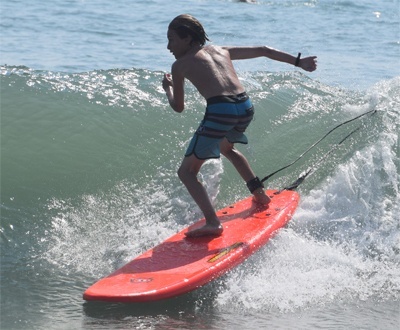 Liquid Shredder 7'0" FSE can accommodate from 95 lbs up to 190 lbs. 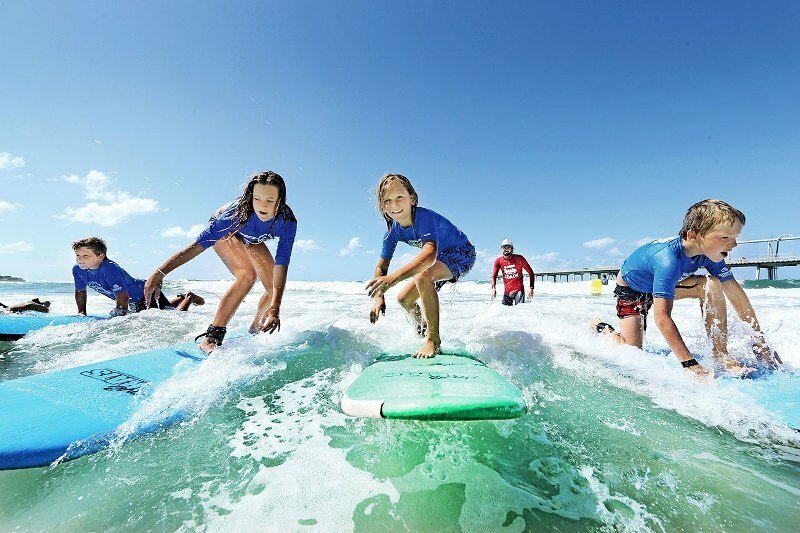 New, intermediate and expert surfers can use the surfboard as long as they fall within the weight limit. The board foam density indicates how much buoyancy it can provide. Surfboards for lighter surfers are less dense and allow the user to sink a couple of inches in the water. For heavier users, the surfboards are denser to prevent the surfers from sinking too far. You want to choose a surfboard that you can be comfortable with. The surfboard will serve as an extension of your body when riding larger waves. This is not possible if you are not comfortable or familiar with your surfboard. Good thing there is a wide variety of boards that you can choose from. Retailers won’t allow their buyers to test drive the boards. The best thing you can do to figure out how comfortable the surfboard is, you either rent one or borrow someone else board. You can join a community of surfers. Many of them are willing to let you borrow their boards so you can test it. They can also give you some advice and tips where the best waves are. You may want to check out our article on body boards if you are quite new to surfing. Your level of expertise as a surfer and as a swimmer is also vital. There are some boards to be used by advanced surfers and need more complex movements to provide you with an enjoyable ride. Shorter boards, for example, have a smaller surface area as compared to longboards. Thus, it means that the surfer should be an expert swimmer. They also need more endurance as they need to exert more effort to paddle out in the surf zone. If you intend to go on the heavy surf, you will likewise need to be expert at maneuvering around waves. Surfers using shortboards might push their board under and dive into the waves. The longboard, on the other hand, you will need to find your way out of padding around bigger waves or dismount and guide your board. Read more here on our reviews on the best surfboards for novice. Surfboard are subjected to brutal situations like being dragged across hot sand, thrown into the air by waves, smashed into the ocean rocks, and dropped in parking lots. Choose a surfboard that is made from a hard, ding-resistant material. A small hole can ruin your board, it lets the water in and damage the foam. The fins are an essential component of your surfboard when in the water. It dictates how the board moves. You cannot have a great board and ride very well if you use the wrong fins. Fins are available on different designs, and they are easy to change when you need to surf on different environments. You can choose from long, medium, and short fins. Aside from the length, other factors that can affect the fin's performance are fin layout, sweep, foil, and flex. New surfers will surely love Liquid Shredder 7' Surfboard. Also, to make your children learning experience memorable and fun consider buying this board. As a new surfer, buying your surfboard can help you learn the sport fast. If you are doing this for fun, you can opt for renting a board. The Liquid Shredder FSE series is considered as one of the best small wave surfboard designed for novice and intermediate surfers. Just like other best surfboard brands, Liquid Shredder has its negative traits like you need to buy the leash separately. But, this does not affect the performance of the boards. Most users are recommending the brand because of its versatility and durability. Surfers are looking for surfboards that ensure their safety. Liquid Shredder board is available on Amazon and is being sold at affordable price. This product receives 4.5 stars out of 5 and got good reviews. This board is not only affordable but also known as the best performance surfboard 2017, thanks to the new technology used in manufacturing the product. So, if you are looking for quality, reliable, durable and safe surfboards, the Liquid Shredder is for you!